Over the summer Russ and his wife arrived from Canada to pick up a Tent Unit and Explorer Box Construction Manual. During the summer they mounted and used their Tent Unit on their Jeep and when fall came around Russ began building his Explorer Box. When Russ informed me of what he had planned, I thought wow; this is going to be one nice Explorer Box. 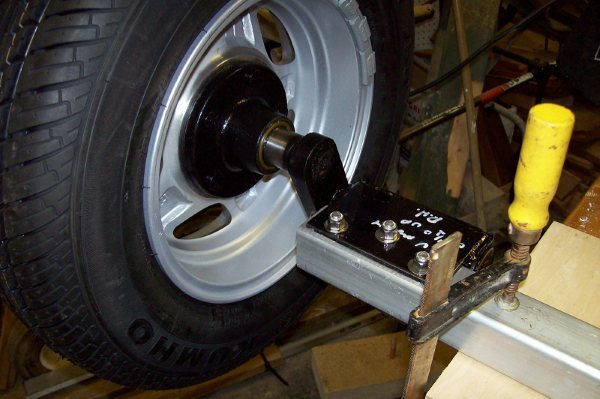 He began the build on an aluminum frame and added torsion half axles. 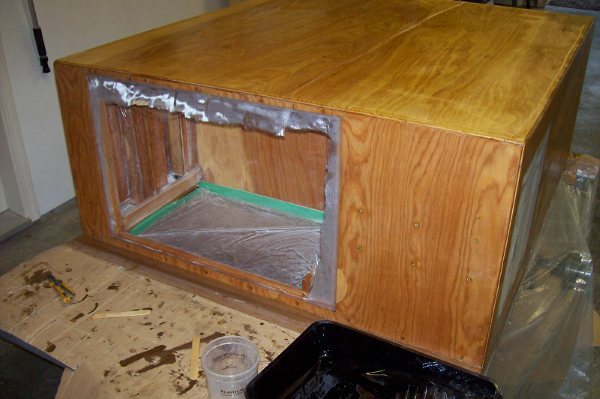 When building the box, he used 1/4” marine plywood covered in a layer of epoxy coated fiberglass. On the inside all the corner joints are epoxy fillets with a strip of fiberglass, very strong and lightweight. He revised the front galley area from the plans and added a slide out propane oven. With all that completed, he applied a beautiful automotive grade silver paint job and topped it off with a nice set of aluminum rims. Congratulations Russ, you’ve built one very nice and unique Explorer Box! Great camper build. I’m just about to build my own and am tossing up between 12mm and 9mm ply and yours is 6mm!! I’m thinking epoxy and fibreglass too but didn’t think that thin would be strong enough. How did to glue the corners before ‘glassing and how did you clamp them. The key is using quality marine grade plywood, I regularly build with 9mm sides and a 12mm top. Glassed, inside and out, 6mm sides should be sufficient for most pavement towed Explorer Box sized trailer boxes. 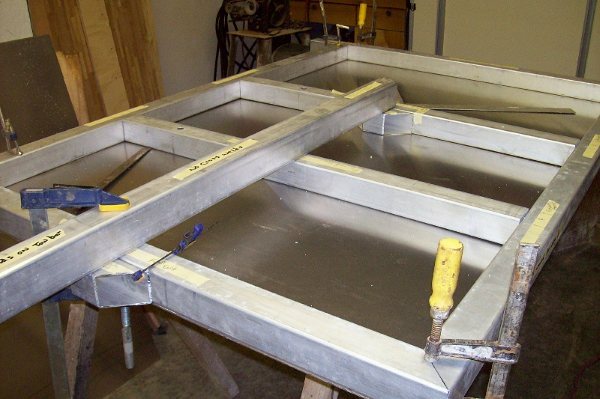 The corners are “glued” with fiberglass reinforced epoxy fillets. Search on stitch & glue plywood kayaks for information on building with epoxy fillet corner joints. Excellent. I’m familiar with ‘stitch and glue’ and fillets etc but how did you clamp the joints while the epoxy cured? I’m thinking temporary screws but it’s hard even in 9mm. I can’t think how you would do it in 6mm unless you really ‘stitched’ it like the kayaks do but they are only 4mm. Not sure how Russ did it, but I was envisioning holding it together with stitches. 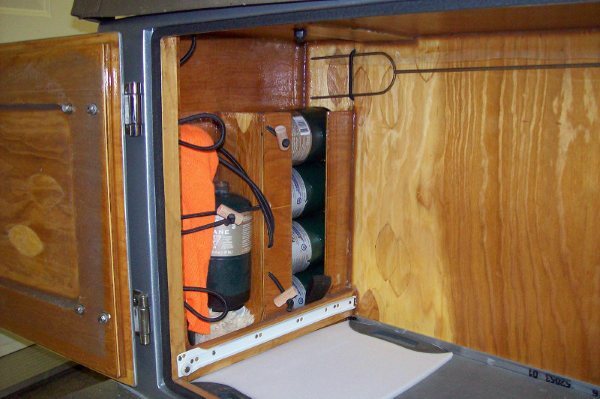 For some smaller storage boxes I made, I used 2″ masking tape to hold them together while the epoxy fillets set. Any chance of finding out from Ross? It is very strong. I mostly clamped with bar clamps and corner clamps , if needed i also pinned connections with a small finish nail then removed it later. Use a fast setting glue in the corners such as pl 400 exterior.When all is set filet corners with thickened epoxy.I would advise you to use occume plywood if you want a good finish with more strength. I used marine fir and had more work to get a good surface. Notice inside top where the tent is bolted through ,the ply is doubled. Good luck building. Its all worth it. Thanks Russ. I’m probably going to go with a mixture of 9mm and 12mm for my build as it is for pretty rough offroad touring. 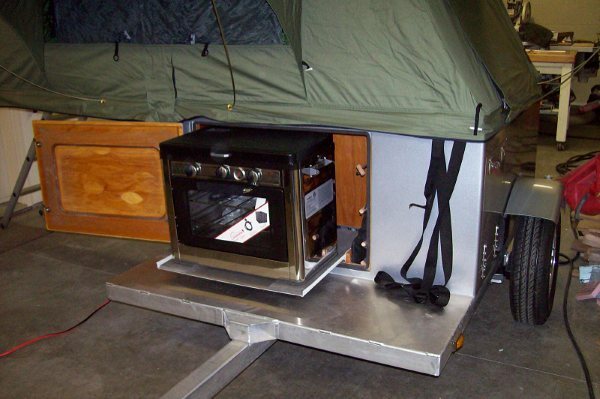 It’s actually a camper box for the back of my ute/pickup but very similar to these Explorer Boxes with a RTT on top. I’ve been making test joints using fillets and glass tape on the outside and can’t break either size. Amazingly strong. Glassing straight ply pieces also adds a lot of strength. Any chance of a bit more detail or photos of your door jams/seals? I’ve just about finalised my details and will be ordering everything next week. Can’t wait to get started. Email me on [email protected] if it’s easier. This site is a great resourse and pointed me to some other customer builds too. Glad you’re finding our info useful. Be sure to send some pictures of your build. On seals, I’ve started using a hollow EPDM D-shape with a wing on it. I’m finding the double seal affect provides improved sealing. When closed, the wing portion forms a channel that routes water away. See http://www.mcmaster.com/#d-seals/=ahjpbi , see style 11 under Foam Rubber Bulb Seals. Thanks for the heads up on that seal. I’d only seen the straight D section in that self adhesive foam before but the lip would make a difference. I’ve searched today and only found one supplier in Oz and it’s $12 per metre!! I need 10m of the stuff so $120 plus shipping vs about $25 for you guys in the US. Ouch!! McMaster won’t ship overseas either so the search continues. What kind of gap do you end up with between your door and the frame? I’m guessing the seal compresses about 1/2 it’s thickness. The brand I use is TrimLok, I checked their website, it shows an Oz supplier, try www.useint.com .